Need to clean up the mess on the floor caused by KIDS or PETS? Cereals, food particles, dog fur, cat fur and other small particles? Does it take a long time to clean up using a broom or dustpan? 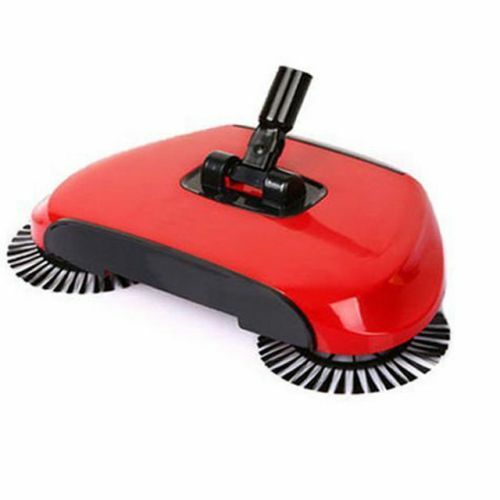 This Revolutionary Spinning Broom is a rotating hard floor sweeper that does the job of a vacuum in the form of a magic broom/dustpan, WITHOUT electricity or batteries! Yes, you no longer need a vacuum or replace a vacuum with lousy suction power. With Revolutionary Magic BroomTM, Cleaning will never be the same again!